Things that were challenging in June: tracking expenses for our budget, running twice a week, decluttering in our basement, and our 1:1 dates with our sons. Things that went well in June: my morning routine, making our bed, keeping my gratitude journal, and getting at least six hours of sleep. 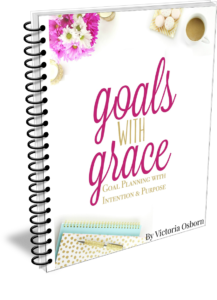 This wasn’t necessarily a goal for June, but it happened as a result of going through a course called Goals with Grace: I have become a morning person. Anyone who knows me will be surprised by this information. I love to sleep in and I love to stay up late. Yet as I was writing out my priorities, I realized that the way I spent my time was not aligning with my highest priorities. Blogging was taking up a lot of time, especially in the evenings and when I would ideally be spending time with my family. The solution? Get up in the morning and do my writing and blogging then. The family is still asleep and I’m able to focus without guilt during those morning hours. I’ve been getting up between 5:30 and 6:00 each morning, doing my morning routine and writing or blogging until I have to get ready for work. The opportunity to work full-time for the summer. Although it threw a kink in my plans for fun summer outings with the kids during the week, it’s definitely helpful for our family. Finally writing out my priorities and writing a mission statement from those priorities. 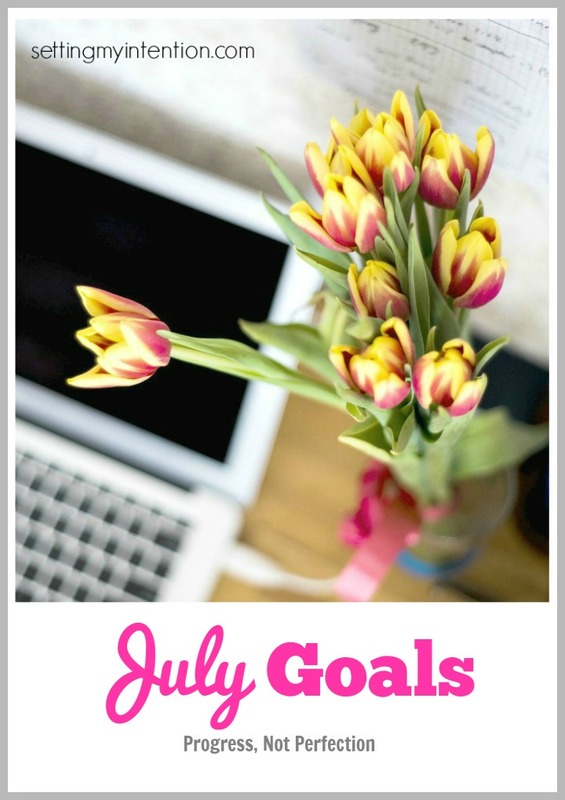 What are some goals that you have for July? Congrats, Angela!! 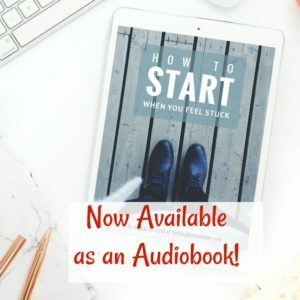 Becoming a morning person?? That’s like becoming a whole new person! I make it a priority to read the Bible first thing too. The majority of the time, I make it. I don’t let myself eat breakfast, till after the Bible reading. That’s a good way to do it Melinda! Feeding your body and your spirit! I’d love to know more about your editorial calendar and how you make it work for you! Of course with summer and the change in my work schedule, I’ve been totally thrown off! I’m writing consistently, but not always for the blog. My favorite schedule used to be staying up until 2:00 and sleeping until 10:00, but that didn’t work with my job, so I made do with sleeping in until 9:00 on the weekends. Until I got a kid who liked to get up at 5:00. And then when he outgrew that, I had already committed to morning stuff on the weekends, so basically the latest I ever get to sleep is 7:30. As a result, I’ve accidentally become a morning person so I actually LIKE going for a walk at 5:45 am. It’s quiet and I get to see/hear some interesting wildlife. I agree Christy. I used to appreciate the quiet of the evenings, but there’s something about the quiet of the mornings that feels invigorating – especially in the city. It’s often so loud here that hearing the birds chirp in the mornings without any other noise is nice. Yeah for becoming a morning person!! I get up early also as I want to get blogging and other work done when the rest of my family doesn’t need me. So the morning time is perfect. I am happy you like it! It’s becoming my favorite part of the day Emily! Great goals! It’s so encouraging to see progress. Thanks for sharing at the Healthy Living Link Party! I love seeing your goals. I was on vacation for a couple weeks so I really need to get my blogging mojo back. I haven’t seen you in Small Victories Sunday Linkup in awhile so hope you link up with us again! I’m cohosting Pretty Pintastic Party too so hope you join that one too. Good luck with EBA!